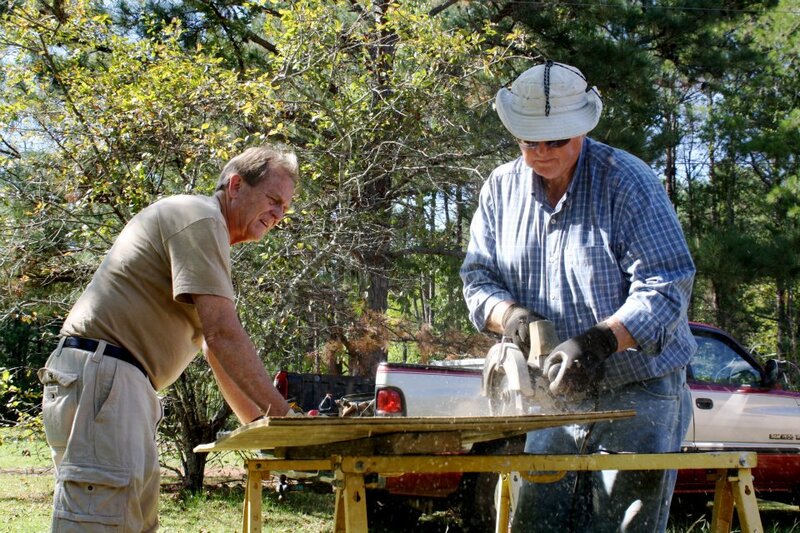 I recruited my dad to work during this past Faith in Action weekend at a home in Andersonville, Ga., a short trek up the road from The Fuller Center for Housing’s Americus headquarters. I recruited him for two main reasons (1) to show my boss, President David Snell, where I get my smart-alecky-ness from and (2) because my dad is actually handy on a construction site while I’m about as handy on a construction site as a large boulder. Seriously, the birdhouse I was building for seventh-grade shop class is now 28 years and four months overdue. If Mr. Peacock is still subtracting a point for every day that thing is late, my shop grade is now minus-10,341. My dad built houses for a living during the 1970s and early 1980s after altering his earlier plan to become a preacher. He was also a small-town mayor and school board member. And then he got into the corporate world, retiring early after delving into organizational effectiveness and then safety management. And along the way, he’s been actively charitable, helping people behind the scenes and never wanting recognition. He was a house leader on more than one Habitat blitz build. Problem is, he’s been good at all of it. OK, maybe that’s not a problem for everyone, but you didn’t have to live with him. It can be a burden to grow up when the bar of success in matters of finances, work, morality, you-name-it has been set so high. I mean, the man even plays guitar better than I do (as do many trained monkeys, though). I’m just glad he never decided to become a writer, or I’d have had to try to live up to that, too. Between his effectiveness and his high expectations for me, it’s rarely been an enjoyable experience with the two of us on the same work site. Dad’s tragic flaw has been a persistent faith that someday my extreme right-brained self would grow into being able to perform very simple left-brained skills. Yet, working all day Friday was actually enjoyable. Maybe it was the beautiful weather. Maybe it was the fact that I didn’t tear up any cool power tools like his hammer drill. Or maybe he has lessened his expectations and accepted my left-brain deficiencies. Or maybe he wanted me to appear semi-useful on a construction site with my co-workers present (though they already know better). Or maybe it’s all just part of Faith in Action … the way things “fall into place” when your heart’s in the right place. 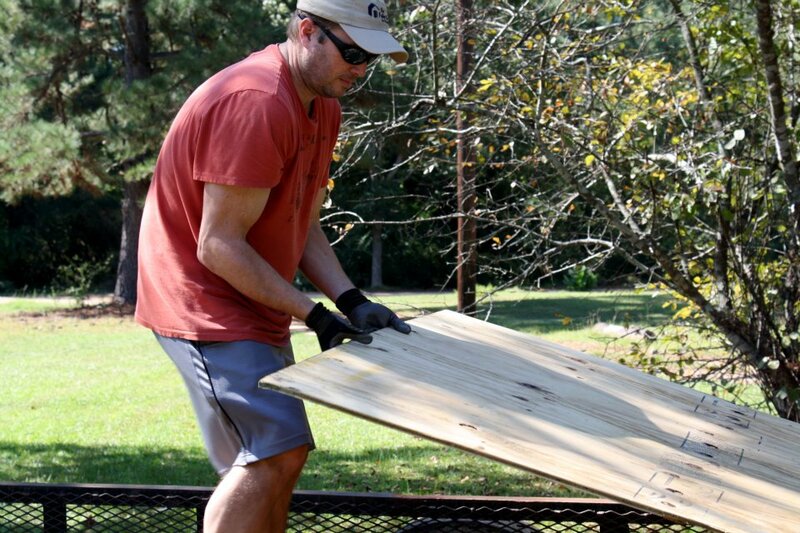 I certainly didn’t turn into Bob the Builder by any means, but I left feeling a little more fulfilled … as I’m sure did many others after they worked on the 10 or so sites tackled by the local Americus-Sumter covenant partner led by Alyssa Hostetler. Shoot, I might even get back to work on that birdhouse for Mr. Peacock. Click here for photos from Americus-Sumter’s Faith in Action work this past weekend.